Want to take your mouth on a vacation? Cook up a pot of this plant-based tortilla soup and dive in! Slurp! This vegan soup will really make those taste buds dance, maybe even salsa. In a large pot, heat oil, onion, garlic, and spices and cook until onions are semi-translucent. Add water, vegetable bouillon, tomatoes, jalapeño, cilantro and salt. Add remaining ingredients and bring to a simmer for 15 minutes. When you are ready to devour, cut up avocado for topping OR use some of our Mouth-watering Guacamole instead. Enjoy! Make sure to dip your chips, they're like a mini shovel for your soup! Feel free to use canned great northern beans or tomatoes if you want to save a bit of time. Buy organic with NO added salt if possible. 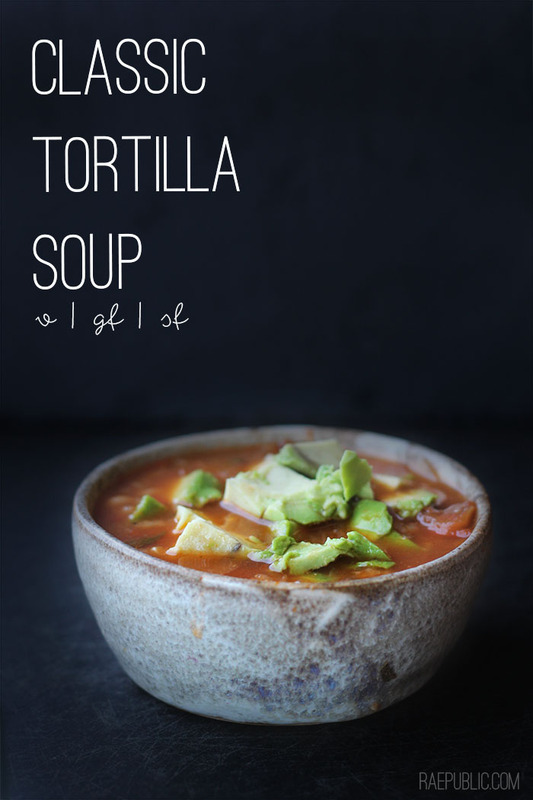 Also, our vegan Mouth-watering Guacamole tastes divine paired with this plant-based tortilla soup.